To access your patient information online, visit our ONLINE PORTAL at www.myhealthrecord.com. Our online portal offers you quick access to your medical information, test results, bill pay, medication refills and Q&A's with the nurse/provider. Please call our office at 217-342-3337 to request an invite to the portal. Schedule an appointment for complete women's health services tailored to your life. 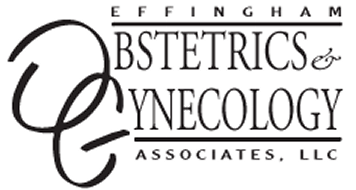 Enjoy the peace of mind that comes with the compassionate women's health care from Effingham Obstetrics & Gynecology. Based in Effingham, Illinois, we offer a variety of Ob/Gyn services supporting women through every stage of life. Our team of board-certified physicians brings more than 100 years of combined experience to every appointment. Your health is our primary concern, and we strive to ensure the best possible patient care by nurturing a close working relationship with our patients. Spring is in the air and we have BIG news to share! In office laser therapy procedure! Call today to set up your FREE consultation. Visit www.monalisatouch.com for further information! Dr. Jennifer Dust is now offering Xeomin™ injections! give us call at 217-342-3337! Visit www.xeominaesthetic.com for further information! Dr. Jennifer Dust sees patients in Newton! She is seeing patients every 2nd and 4th Thursday afternoon from 1:30 pm-5:00 pm. Dr. Dawn McDaid sees patients in Vandalia! She is seeing patients every 1st and 3rd Thursday of the month from 9:00 am-4:00 pm. Nicki Suckow PA is now seeing patients in Altamont! She is seeing patients every 2nd and 4th Thursday of the month from 8:30 am-noon. Call (217) 342-3337 to schedule an appointment!